This chatty girl is another pretty lady who came all the way from Gatineau, Quebec. We don’t know a lot about Lucy’s history except that she was surrendered because she smelled bad. Turns out she had a dirty back end because she has arthritis and can’t reach to clean. Some pain medication, a weight loss plan and dental procedure later and she was all ready to find a new forever home. I've been Adopted! - Please meet Boom! I've been adopted! - Please meet Frankie! You may remember Johnny as this is now his third time in our adoption program. 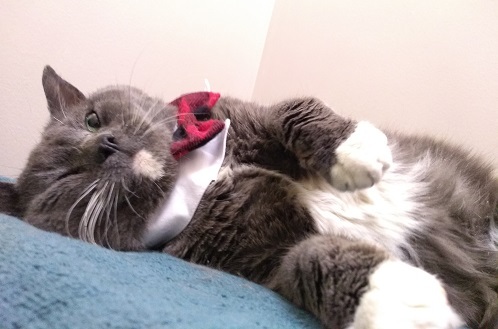 He’s had a rough time finding a forever family and it’s never through any fault of his own! I've been adopted! - Please help Shy Boy Bobby Find a Family to Love. He’s had a lot of adjusting to do in the last little while but even as scared as he is he’s been a perfect gentleman. 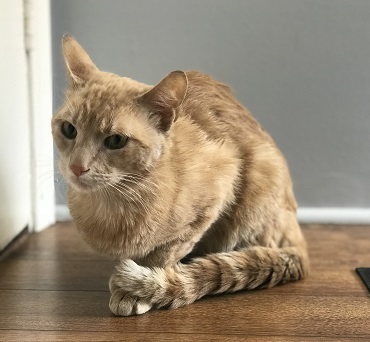 We are sure that with some love and patience Bobby will become a wonderful house cat. I've been adopted! -Please meet Tucker! 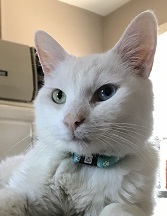 When Sammy's dad received a grim prognosis for his own health his only wish was to make sure Sammy would be well cared for an in a new family...well we are happy to say Sammy purred his way into a new family before he was technically even available for adoption. 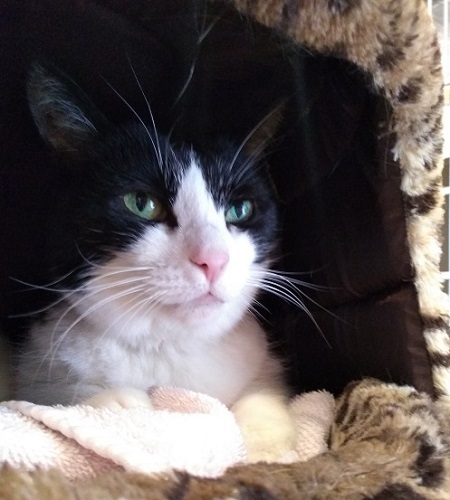 Felix came into our care after his owner could no longer look after him. 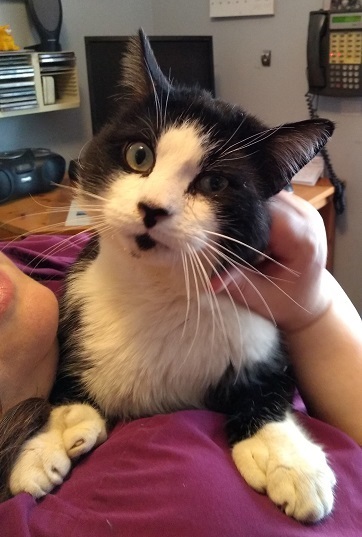 This handsome love bug is really easy going and loves looking out windows. 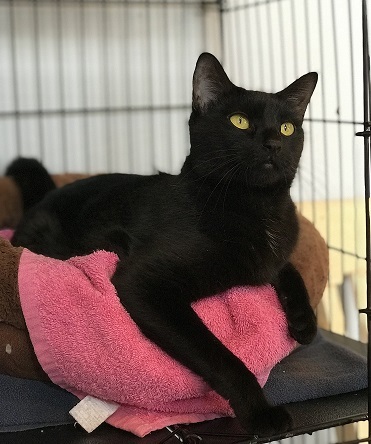 Even though this lovely girl with an "old soul" had a home she still found herself left behind at Animal Services and is now looking for a forever family to call her own. 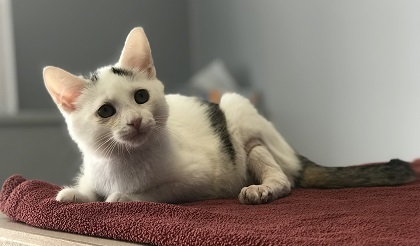 Handsome Tatum has had a rough couple of months....first he was wounded, then he was stuck in a tiny cage at Animal Services with an elizabethan collar on for several weeks. We think it's time for his luck to change. What do you think? 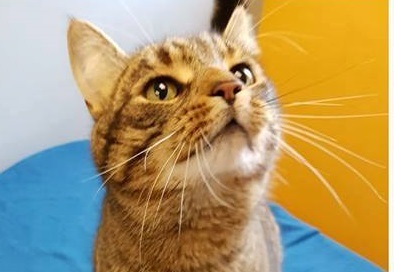 Tatum is currently at our Hamilton location The Cat Clinic. I've been adopted! - Hi my name is Creamsicle! My biggest wish is to have a family to love! 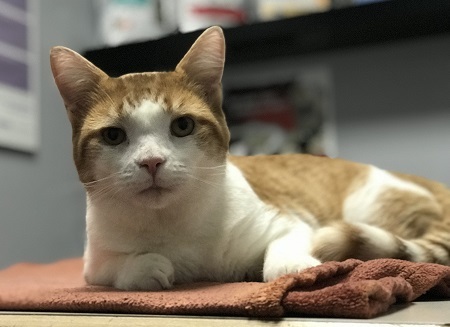 Creamsicle is a happy loving guy looking for a new home. 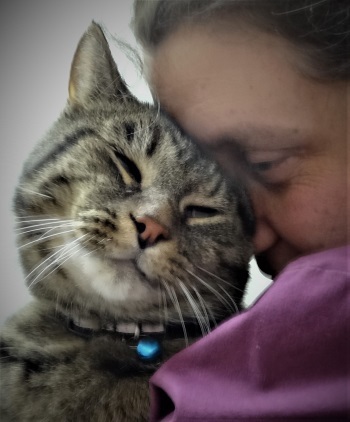 All he wants is a family to love....could this be you? We've been Adopted! - Siblings Aria, Jocelin and Smudgette are all looking for families of their own! I've been Adopted! - Mouse is quietly waiting for someone to love her forever! 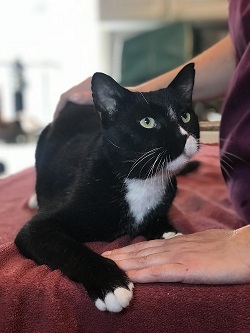 Jill is another poor girl who ended out in Animal Services and has been patiently waiting for someone to give her a chance at a forever home since July! Poor Minnie was "tossed" away at a park by our sister clinic. I've been Adopted! - Glenda the snuggly girl is getting her new chance at life! It was a really busy Thursday morning when our sister clinic received a desperate call from a Hamilton Animal Services employee asking if we could please help. Sometimes things are just meant to be. After hearing a disappointed Animal Control worker saying he would probably have to be euthanized before the end of the day we knew we had to step in to at least give the little guy a chance. I've been Adopted! - Romeo has found his Juliet to love! I've been Adopted! - Our Precious Serenity has found a safe haven.. I've been Adopted! - Boy-Z has finally got his second chance! I've been Adopted! - Shy kitty Savannah has found a new place to stay. 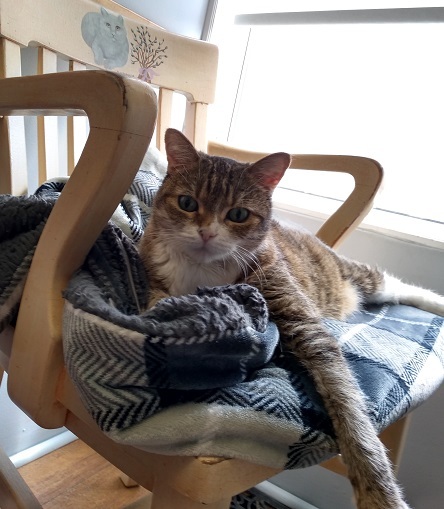 Savannah was found by one of our sister clinic's clients and is now with us looking for a new home. This super friendly 3 year old girl went to her new home this week and is doing GREAT! Mia was in our display kennel at our sister clinic in Hamilton to be socialized when a client fell in love with her. Mia will be heading off to her new home just as soon as we can get her spayed. I've been Adopted! - Waffles the little purrbucket has found a new home! I've been Adopted! - Terra has found a forever home! I've been Adopted! 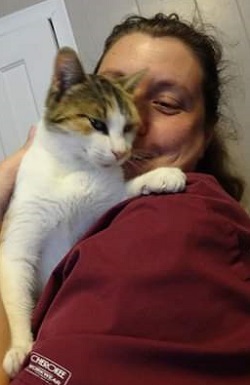 - Isabelle found a forever home on facebook.